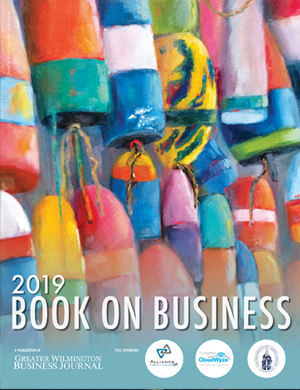 The WilmingtonBiz: "Book on Business" is an annual publication showcasing the Wilmington region as a center of business. The publication serves as an annual update to business and community leaders on initiatives to boost economic development. Dozens of lists with information about leading companies in a range of local industries. Demographic and other statistical information on business trends in the Wilmington region. An annual report on economic development initiatives in the region. All of the contacts in the Book on Business in an Excel spreadsheet, which can be easily sorted and used for targeted mailing lists. Additional business contacts who were surveyed, but did not make it into the printed Book on Business.